Republican Congressional Campaign Committee head says government will stay open. President Trump said he would be willing to shut down the government over immigration but a Republican representative leading his party's election efforts to keep control of the House demurred. Shortly after the president's tweet, the chairman of the Republican Congressional Campaign Committee told ABC News "This Week" Co-Anchor Martha Raddatz the GOP-led Congress would keep the government open. 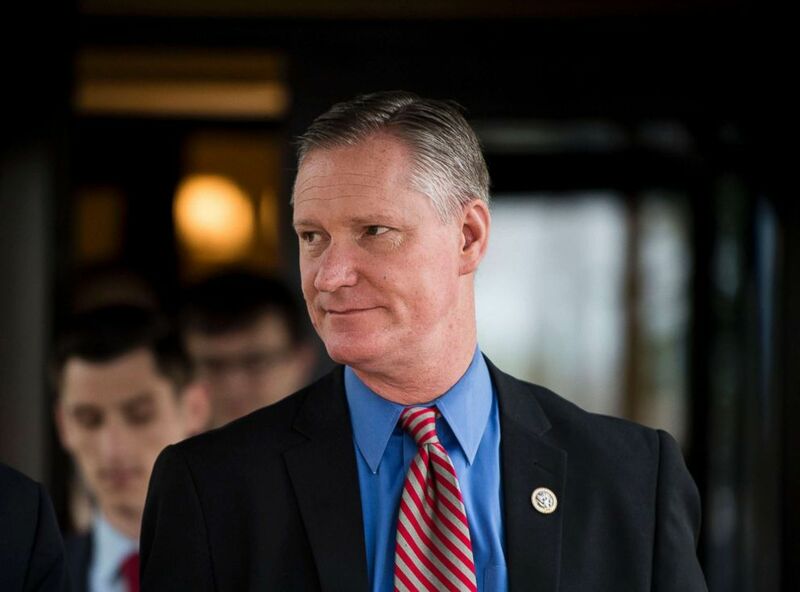 "I don’t think we’re going to shut down the government," Rep. Steve Stivers of Ohio said. "You know, I think we’re going to make sure we keep the government open, but we’re going to get better policies on immigration." Congress has a deadline of Sept. 30 to pass a budget for next fiscal year or risk a shutdown of the federal government, such as happened as recently as January when Senate Democrats and Republicans failed to reach agreement on immigration policy. 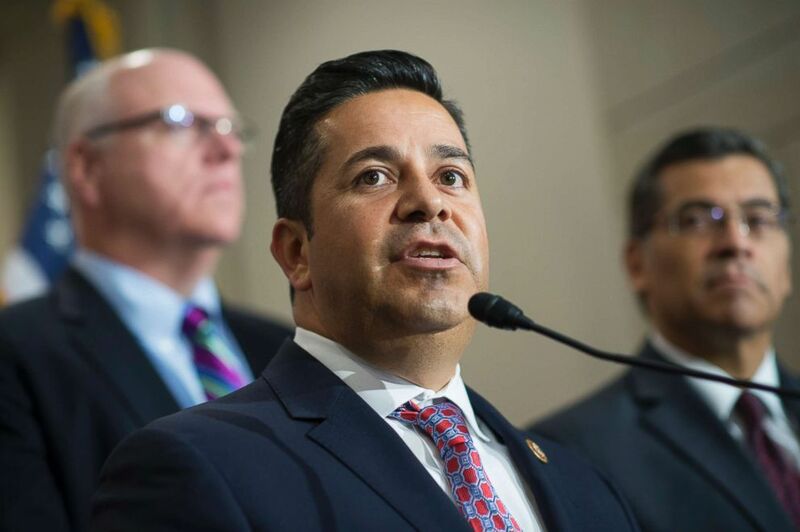 (Tom Williams/Getty Images) Rep. Ben Ray Lujan along with Reps. Joe Crowley, left, and Xavier Becerra, conduct a news conference after a meeting with House Democrats in the Capitol Visitor Center, June 22, 2016. Stivers on "This Week" slammed Democrats' stance on immigration, saying they want "open borders." Stivers' counterpart, Democratic Congressional Campaign Committee Chairman Ben Ray Luján, also appeared on "This Week" and said Democrats want immigration reform that is both "fair" and "tough." "Democrats are standing strong when it comes to a comprehensive immigration reform conversation with the American people that is fair, that is tough and that will be good for America,” said Luján, D-New Mexico. Raddatz asked Luján about a call by some progressive Democrats to abolish ICE, the Immigration and Customs Enforcement agency. "Is that a good message for the Democrats, abolishing ICE?" Raddatz said. (Bill Clark/Getty Images) Rep. Steve Stivers, R-Ohio, leaves the House Republican Conference meeting at the Capitol Hill Club, May 16, 2018. Stivers took issue with Democrats' claim that their policies are "putting people first," and slammed the call by some Democrats for single-payer health care, sometimes referred to as Medicare for all. “That is not the answer for health care, a government takeover of health care, a single-payer system is not the answer," Stivers said. "It will put people in line, it won’t put people first. Democrats are consistently leading in polls asking respondents about the November elections, and typically the party in opposition to the president does well in congressional midterms.